The spectacular course of the world's biggest tri awaits you! 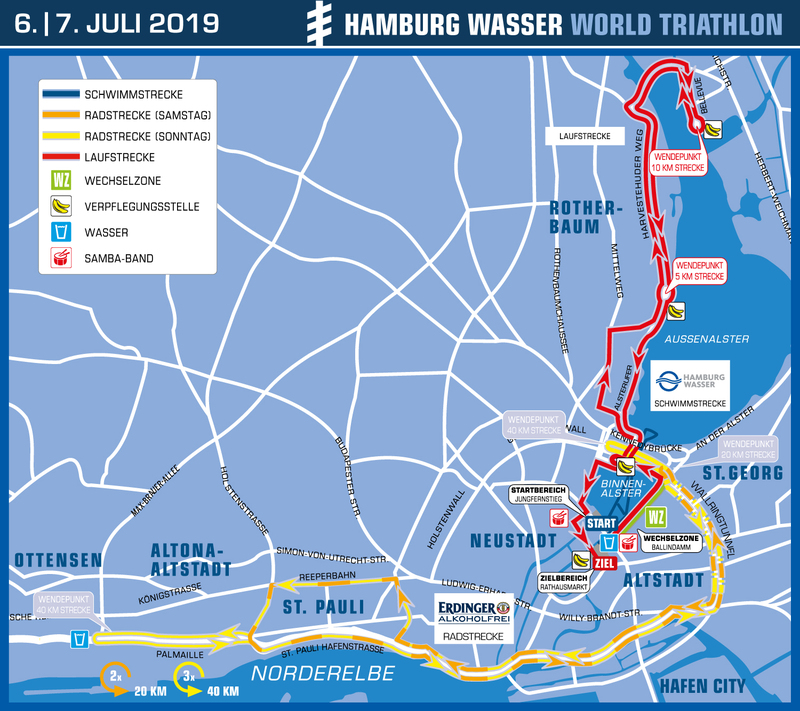 #SwimBikeRun through the very heart of Hamburg in front of thousands of supporters. Mostly flat course with 180° turning points at the Altonaer Rathaus (OD) and Lombardsbrücke (SD, OD) with very good road/asphalt conditions. The participants of the Olympic Distance complete three laps; the participants of the Sprint Distance complete two laps. Technically not very demanding with exception of the turning points. Maximum ascent of 5% on 2 x 200m per lap. The exact length of the bike distance for the Olympic Distance is 40 km and for the Sprint Distance 20 km. 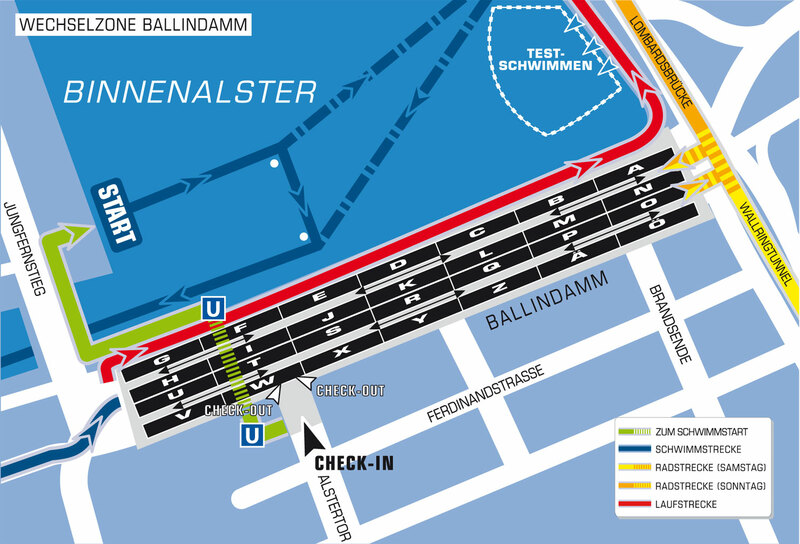 Both courses feature the highlights of the city such as the Speicherstadt, Landungsbrücken und Reeperbahn. In addition, a section of the Lombardsbrücke has been incorporated, which offers an incredible view of the Alster.